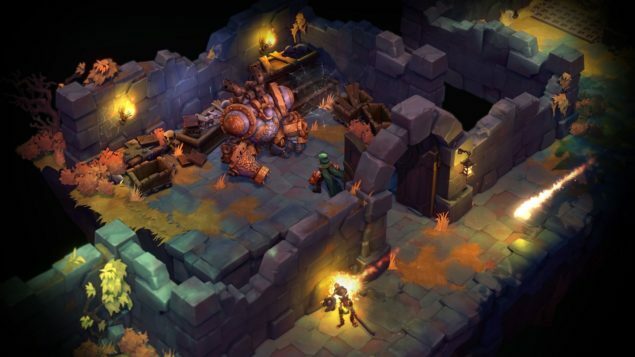 Comic book fans will be happy to know that Battle Chasers: Nightwar is a reality. Writer/Artist Joe Madureira, after working on Darksiders with Vigil, has now founded a new studio called Airship Syndicate with the goal to produce a game in the Battle Chasers universe, the one that made him famous with the original comic book series. Battle Chasers: Nightwar will feature a mix of different genres, as explained by Airship. Battle Chasers: Nightwar is an RPG inspired by the classic console greats, featuring deep dungeon diving, turn-based combat presented in a classic JRPG format, and tons of secrets, story and randomly-generated replay goodness. Explore an overworld presented in classic form, peppered with hidden dungeons, rare bosses and randomly appearing friends and foes. Plan for survival. The desolate town of Harm’s Way is your only place to prepare. Choose three of the many heroes you’ve unlocked, fill your travel backpack with items from your stash, make sure you’ve chosen the best equipment and abilities for each hero… and then strike out. Action oriented, randomly-generated dungeons loaded with traps, puzzles and secrets. Use each hero’s unique dungeon skills to survive! The Kickstarter campaign went live yesterday and it already got over 60% of the minimum $500K goal. Clearly, many Battle Chasers fans have been waiting for this, and they’ll be even more happy to know that the comic series will continue exactly where it left off, with the first new issue being #10. The current plan is to release Battle Chasers: Nightwar on PC & Mac, via both Steam and GOG (this version will be DRM-free), in December 2016. However, stretch goals will feature PlayStation 4 and Xbox One versions and if the current funding pace is kept, it is doubtless that they will be unlocked.